Signs (1970) by Robert Rauschenberg is an original screenprint collage in colors, on wove paper. From the signed, numbered and dated edition of 250. Published by Castelli Graphics, New York. 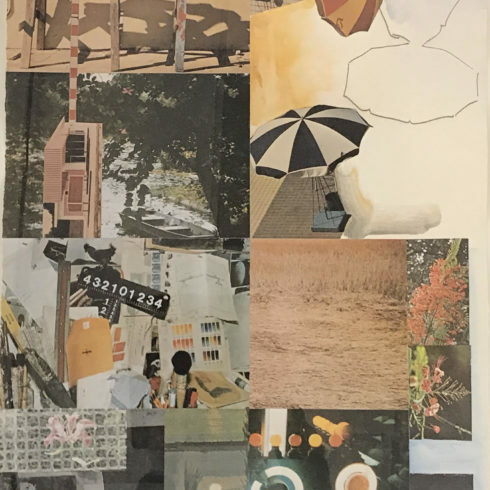 “Signs” by American Pop Artist Robert Rauschenberg, was originally created to welcome the year 1970 and was intended as an illustration for the cover of Time Magazine. 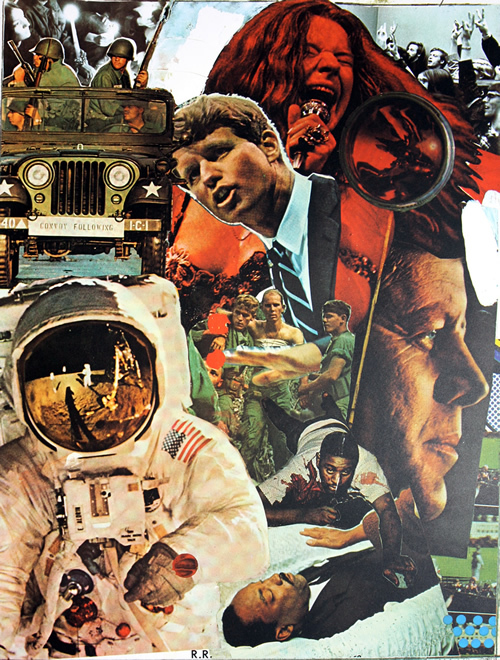 This screenprint edition of the collage was published, after Time Magazine decided not to use the image in 1970. 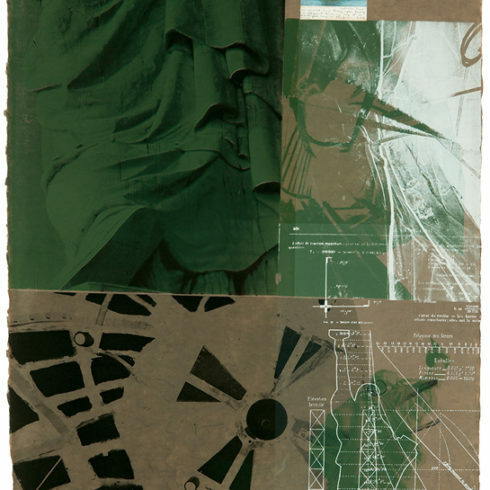 “Signs” is one of the most sought after Rauschenberg Screenprints because of its iconographic imagery. 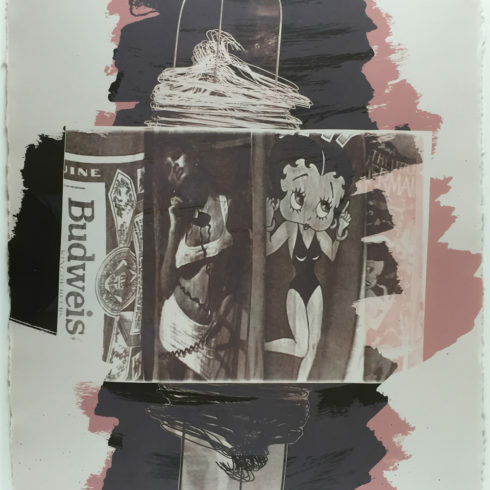 This signed Robert Rauschenberg print can be found in the permanent collection at Museums like: Smithsonian Institute of Art Museum of Modern Art New York (MOMA) Madison Museum of Contemporary Art. 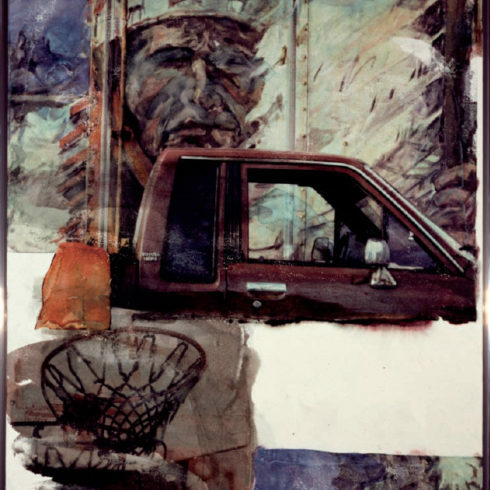 Robert Rauschenberg – Hollywood Sphinx – Illegal Tender L.A.